For over 15 years The Lock Guy has been providing superior professional locksmith services to Commercial and Residential customers throughout Melbourne Metro and surrounding suburbs. 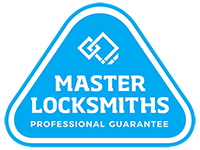 The Lock Guy prides itself in being a long standing member of the Master Locksmiths Association which is your assurance that you are dealing with a quality and experienced security industry professional. In order to meet the growing requirements of our Residential and Commercial Customers we like to keep up to date with the latest technology and product information which includes the continual development of our dedicated team of locksmiths. We take great pride in our work, ensuring the job is done right the first time. We provide a high quality on-site mobile service and provide the right advice and solution to meet all your Lock and Security needs. As your local locksmiths, we can quickly cater to any emergencies you may have. Whether you’ve locked yourself out, had locks damaged due to a break in, or you need a complete building security survey, The Lock Guy can provide the right solution. In addition to offering a quality and efficient service to Melbourne and surrounding suburbs, we can also supply you with leading security products for all of your door and window applications for your home or business using the highest quality products available. Whatever your lock or security issue is, contact us and speak to a professional locksmith today. Call us on 0438 316 866.